Kalamazoo, MI, December 06, 2016 -- The Kalamazoo Symphony Orchestra, under the direction of Resident Conductor Daniel Brier, proudly presents the world premiere of Daniel Capelletti's The Night Before Christmas, as they launch their first Family Discovery Series concert of the season. This KSO commission brings together the incredible talents of internationally recognized composer Daniel Capelletti from Brussels, Belgium, up and coming Los Angeles playwright, Adam Pasen, award winning director, Ben Zylman and Lighting Director Kristen Chesak, both of Kalamazoo, MI. "I am delighted to bring this new work to the Kalamazoo community," said Maestro Brier. "Mr. Capelletti's music brings the magic of this timeless story to life. Adam's script is wonderfully evocative and I can't wait to see how Ben Zylman and his cast bring the story to life." Taking the stage with Maestro Brier and the Kalamazoo Symphony Orchestra for this semi-staged, KSO original production, are cast members - Carly Koch as Lucy Snow, Jay Kurtis Oetman as Greg Snow, Brittin Schumaker as Barbara Snow, and Lou Price as Grandpa. Pre-concert activities begin at 2:00 PM with the Kushner & Company Instrument Petting Zoo. The popular Meet the Conductor event begins promptly at 2:40 PM in the reception room. Join us as we bring this timeless tale to life for an afternoon the entire family will enjoy. Daniel Brier, KSO Resident Conductor, is an emerging conductor committed to compelling and engaging performances of diverse repertoire. He leads over a dozen concerts with KSO each season. Increasingly active as a guest conductor, Daniel has led performances with the St. Petersburg Chamber Philharmonic, Adrian Symphony, Whiting Park Festival Orchestra, Royal Oak Symphony, Detroit Medical Orchestra, Orion Chamber Orchestra, and Andrews Symphony Orchestra. He has collaborated with a diverse range of artists including Rachel Barton Pine, Bobby McFerrin, Ian Greenlaw, Antonina Chehovska, Vince Yi, Gil Goldstein, Louis Cato, Jeans'N'Classics, and more. He has conducted opera and ballet productions including Mozart's Le nozze di Figaro and Tchaikovsky's Nutcracker. In 2016, he is conducting the world premiere of Daniel Cappelletti's The Night Before Christmas, commissioned by the KSO. He received his musical training at the University of Michigan, earning degrees in orchestral conducting with Kenneth Kiesler and choral conducting with Dr. Jerry Blackstone. Daniel Capelletti, a native of Luxembourg, has played the piano since he turned three. At the age of thirteen, he became a student of the Brussels Royal Conservatoire of Music in the class of maestro Eduardo del Pueyo. He graduated seven years later, having obtained all the diplomas for instrument, theory, and composition. Mr. Capelletti is laureate of several international piano competitions, both in Belgium and abroad (Italy, Spain) and he has won the Sabam Prize for composition of the Queen Elisabeth's International Musical Competition several times. He has performed in numerous concerts and recitals all over Europe including Belgium, France, Luxembourg, Italy, Spain, Germany, Hungary, and Poland. Performances in his career include Cariatides for violin and piano (1985), Aquarelles for symphonic orchestra (1986), Reeds for 28 single reed instruments, a piece created by the "Musique des Guides" in 1997, Sven, symphonic tale based on the novel of Pierre Coran (1998), Anamorphose for string quartet, created during the Ars Musica Festival 2001, Suite latino-americaine for violin, guitar, accordion, piano and double bass, commissioned by "Soledad" (2002), and Ennemi Public, original soundtrack of the eponym TV series (2015), among many others. Mr. Capelletti has collaborated as a pianist, composer and arranger in many other musical genres; jazz, pop, and film music. Daniel has taught piano at the music school of Zaventem since 1993 and previously taught musical analysis and composition at the Brussels Royal Conservatoire. Mr. Pasen is currently based in Los Angeles, CA, where he is pursuing a career in screenwriting. In 2012, he graduated from the PhD program in Playwriting at Western Michigan University where he studied under Steve Feffer. He is the recipient of the National 10-Minute Play Award from the Kennedy Center in Washington, D.C. as well as a BroadwayWorld Chicago Award for Best New Work for his play Tea with Edie and Fitz (which was originally produced in the York Arena Theater at WMU and directed by D. Terry Williams). He has published short plays and monologues in Best American Short Plays from Applause Books and Best Women's Stage Monologues and Scenes from Smith & Kraus. His full-length play Board Fold: a tale of retail was first produced by Fancy Pants Theater at Studio 246 and is published by Chicago Dramaworks. Adam appeared in many shows in the Kalamazoo area, including Tartuffe, Legally Blonde, King Lear, and The Drowsy Chaperone at the Civic Theatre. An award-winning actor and director, Mr. Zylman has over 35 years of experience and 120 productions to his credit. His Kalamazoo Civic Theatre directorial credits include Over the River and Through the Woods, Crazy for You, Broadway Bound, Brighton Beach Memoirs, Annie, The Wizard of Oz, Fiddler on the Roof, The Diary of Anne Frank, The Gala Reunion Concert, The Sound of Music, Gypsy, Mame, Oklahoma! and the award-winning Forever Plaid. Additionally, Ben has directed The Remarkable Farkle McBride and Peter Vs. the Wolf for the Kalamazoo Symphony Orchestra and The United Teens Talent Show for The Arts Council of Greater Kalamazoo. Named Actor of the Year by the Kalamazoo Gazette for his performance in The Nerd, Ben also received the Excellence in Acting Award from the American Association of Community Theatre for his work in The Boys Next Door. The Kalamazoo Civic Theatre presented him with their Excellence in Performance Award and People's Choice Award for his portrayal of Man in Chair in The Drowsy Chaperone and their Excellence in Performance Award for Applegate in Damn Yankees. In 2013 Ben received the Community Theatre Association of Michigan's Outstanding Achievement in Acting Award for his work in The Imaginary Invalid. His extensive list of performance credits includes The Sunshine Boys, The Odd Couple, Greater Tuna, Lost in Yonkers, A Funny Thing Happened on the Way to the Forum, Little Shop of Horrors, Brighton Beach Memoirs, Biloxi Blues, Broadway Bound, and Doubt. In recognition of his many accomplishments, Ben has been presented with the Arts Council of Greater Kalamazoo's Community Medal of Arts Award (2005) and the Kalamazoo Civic Theatre's Larkin H. Noble Award (2015). Kristen started her career in theatre as a lighting designer and has lit over 200 productions to date. Most recently she had the pleasure of designing lights for the Civic's production of 4000 Miles. When not serving as a designer, Kristen spends her days as the Executive Director of the Arts Council of Greater Kalamazoo. She joined the Arts Council in June 2016. Prior to this appointment, Kristen had a 22-year career at the Kalamazoo Civic Theatre - serving in the positions of Intern, Carpenter, Lighting Designer, Production Manager, and most recently as its Executive Director - a position she held for the past 11 years. Originally from Seattle, Washington, Kristen has also had the pleasure of working for the Group Theatre, The Alice B., and the Annex Theatre. A graduate of both Kalamazoo College and Western Michigan University, Kristen holds a B.A. in Theatre Arts and Communication and an M.F.A. in Performing Arts Administration. 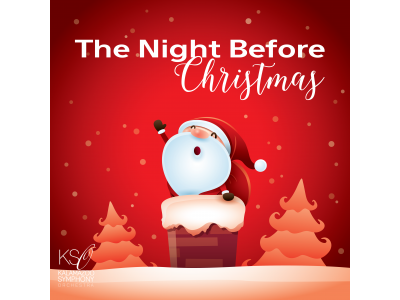 The Kalamazoo Symphony Orchestra, under the direction of Resident Conductor Daniel Brier, will present the world premiere of Daniel Capelletti's The Night Before Christmas. This KSO original production brings together the incredible talents of internationally recognized composer Daniel Capelletti, playwright, Adam Pasen, director, Ben Zylman and lighting designer, Kristen Chesak for an afternoon of holiday entertainment the entire family can enjoy. Pre-concert activities begin at 2:00 PM with the Kushner & Company Instrument Petting Zoo. The popular Meet the Conductor event begins promptly at 2:40 PM in the reception room.